A unique way to provide incentive, to reward employees for a job well done, to introduce new products or to celebrate a special anniversary. Excellent food and an adventure they will not soon forget. 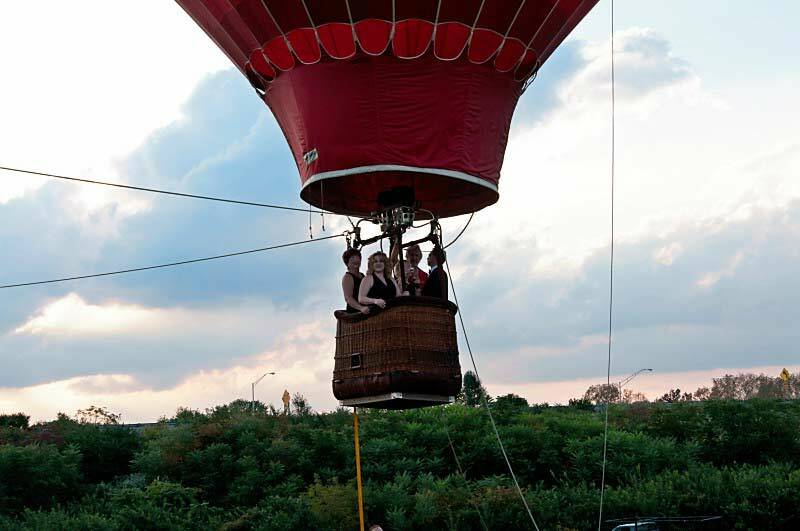 We can offer an exciting free-flight or tethered (tied-down) ballooning experience to up to 75 people and can provide banquet seating, in conjunction with The Spain Inn II Restaurant. Thank your employees with this special recognition gift at your next company party. You can arrange for this Mini Balloon Festival at your corporate party. Thank your employees with this special recognition gift at your next company party! Also see our Party Tethers page for another option for your corporate party. Not all balloon companies are comfortable with tethering. We do a lot of tethering and have the experience and the referrals to go along with it.